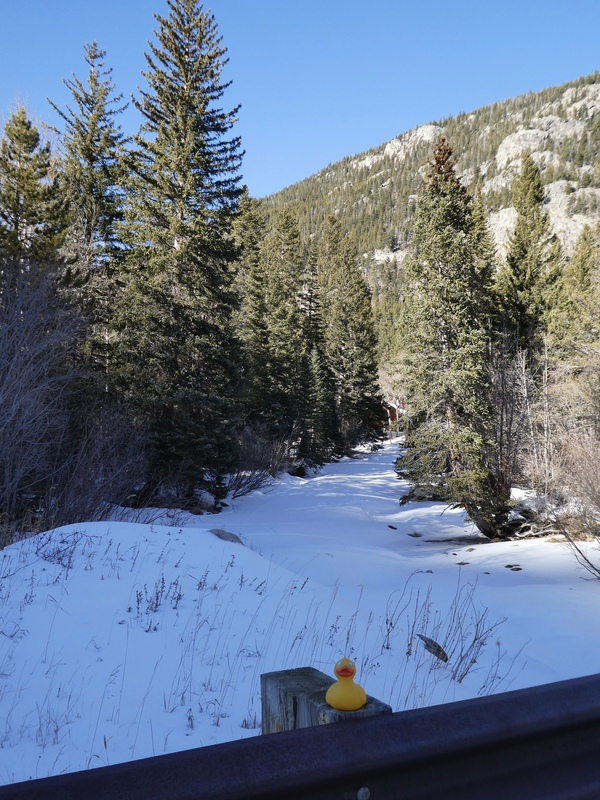 I, Zeb the Duck, and my friend, Chanel the Bear, took three humans to the mountains today. Chanel and I had a plan. 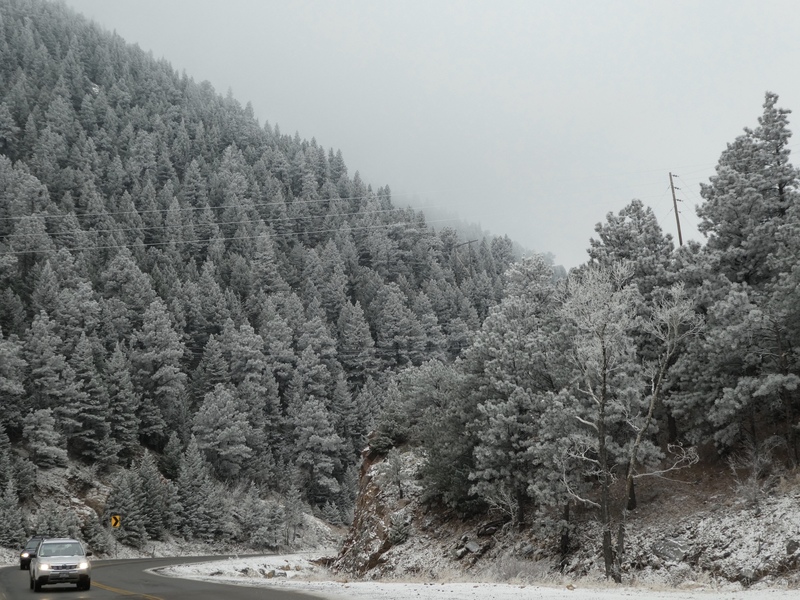 It was cold in the morning and driving through Coal Creek Canyon we loved these frosted trees. Isn’t it beautiful? Just like a post card. 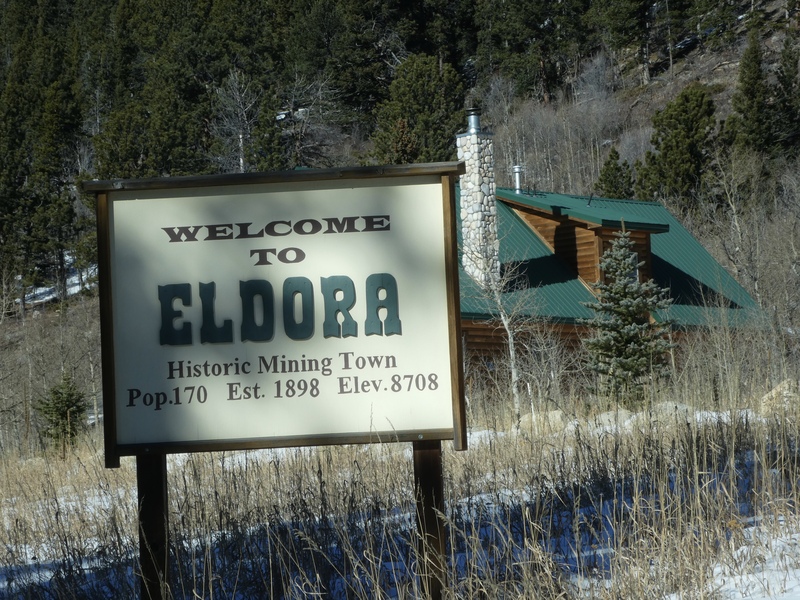 Shortly before our destination of Nederland, we turned and found the small town of Eldora. And we mean small. Look at that population. Only 170 full time residents. 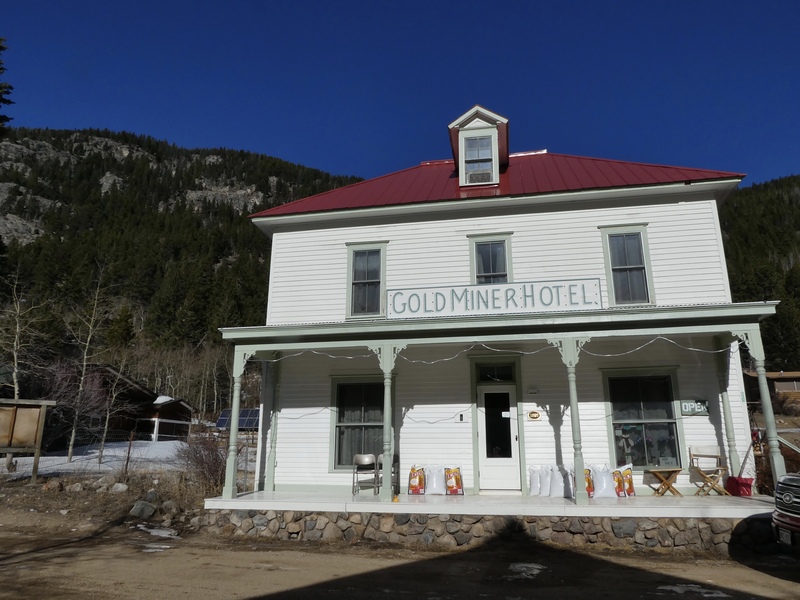 Here is the Gold Miner Hotel. We think it would be fun to spend a night here and explore this town. Look at that bright blue Colorado sky. We would wander along the river, look for moose, and appreciate the scenery. Maybe in the summer, said our moms. Across the street from the hotel you can see that the old buildings are well maintained and still used. We love that. The road is parallel to the river, as usually happens. The river is frozen with a light cover of snow. So peaceful and quiet here today. While we were driving, we were watching for moose. We have seen them here before. However, no moose for us today. But this coyote was fun to see. 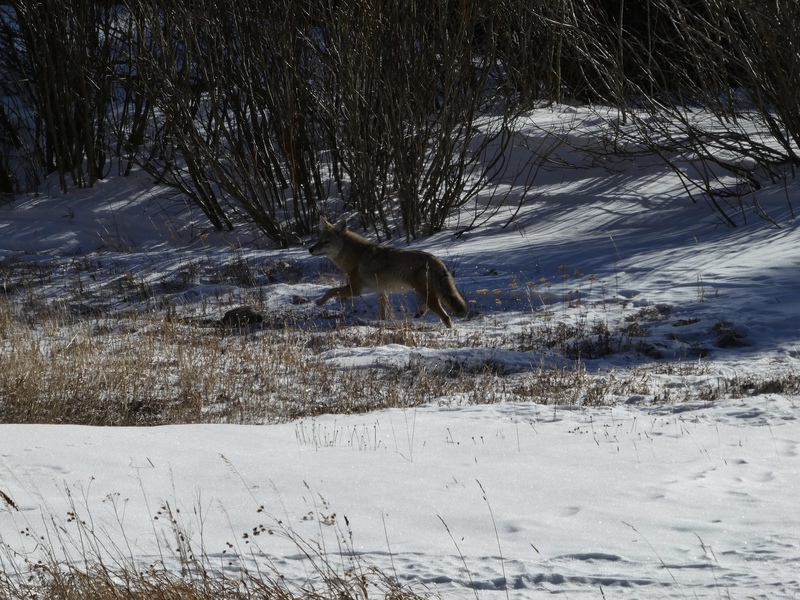 Coyotes and humans don’t always get along in town, but here, in the mountains, we loved seeing this one wandering along. Driving further, we arrived in Nederland, just in time for lunch. 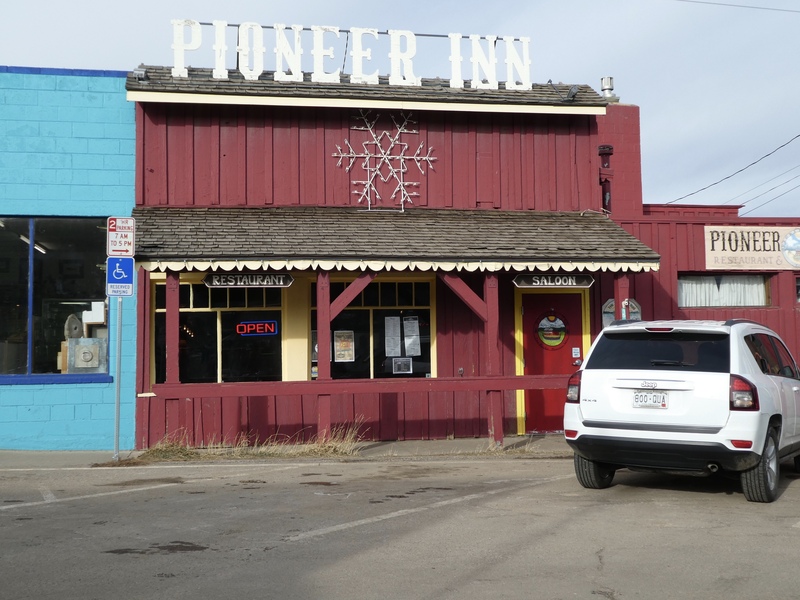 Nederland has several restaurants, but we returned to Pioneer Inn, a favorite. 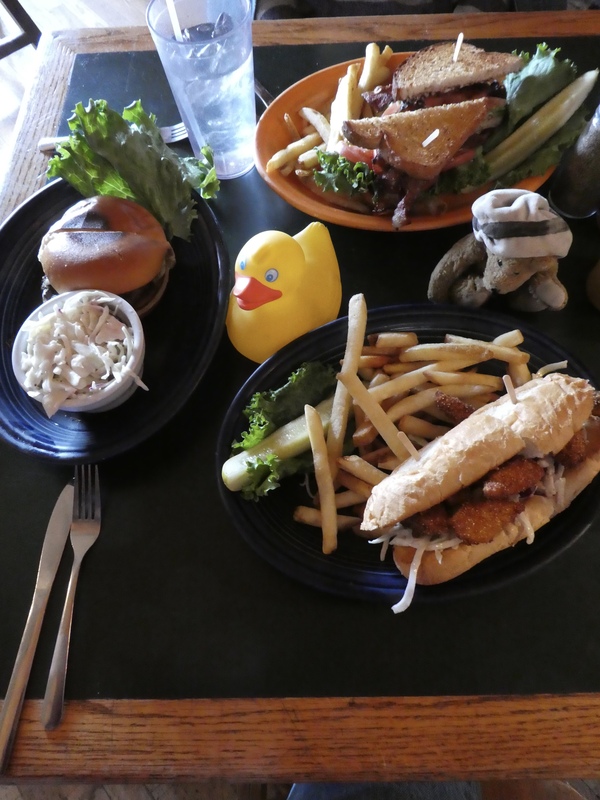 We ordered three sandwiches; all were delicious and the portions were very generous. Yum! 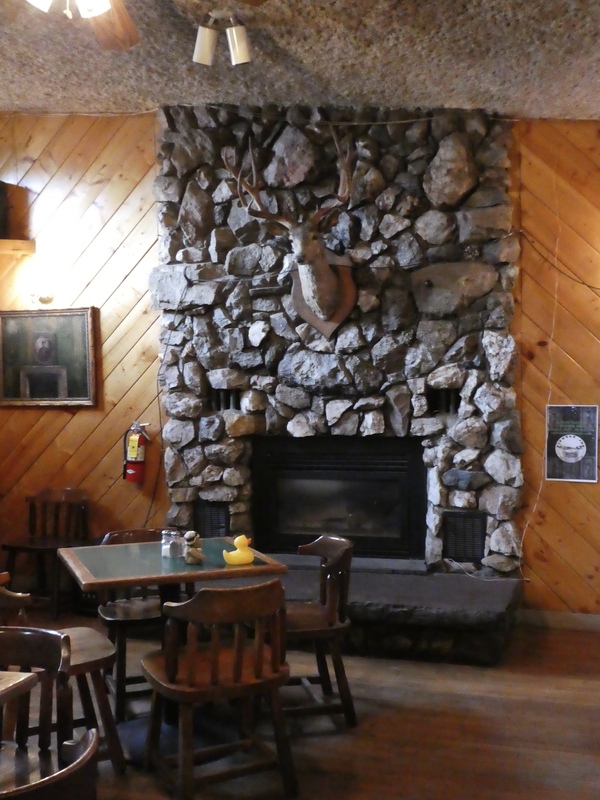 After eating, we wandered into another dining room, usually just needed in the evening. We love fireplaces. Especially in rustic mountain restaurants. Maybe some evening? Next stop was a great “rock shop”. 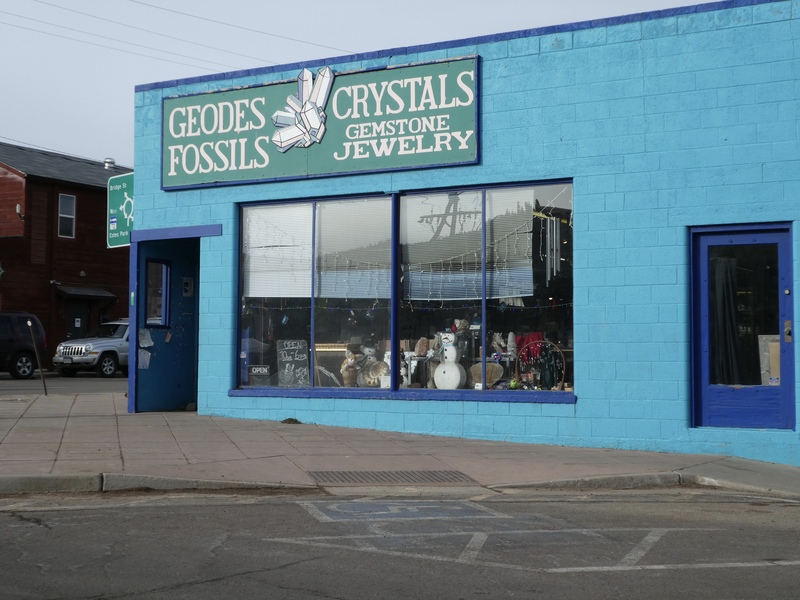 The geodes, crystals, fossils and jewelry were beautiful. But none of the humans were shopping today, just looking. Next stop, the Carousel of Happiness. This is the stop Chanel and I planned. We love this carousel. Here we are. Riding an ostrich is great. Remember that we have been here before. There was a young Marine, Scott, that served in VietNam, received a music box from his sister. While the war was around him, the music box inspired him to create a Carousel of Happiness when he returned to the US. 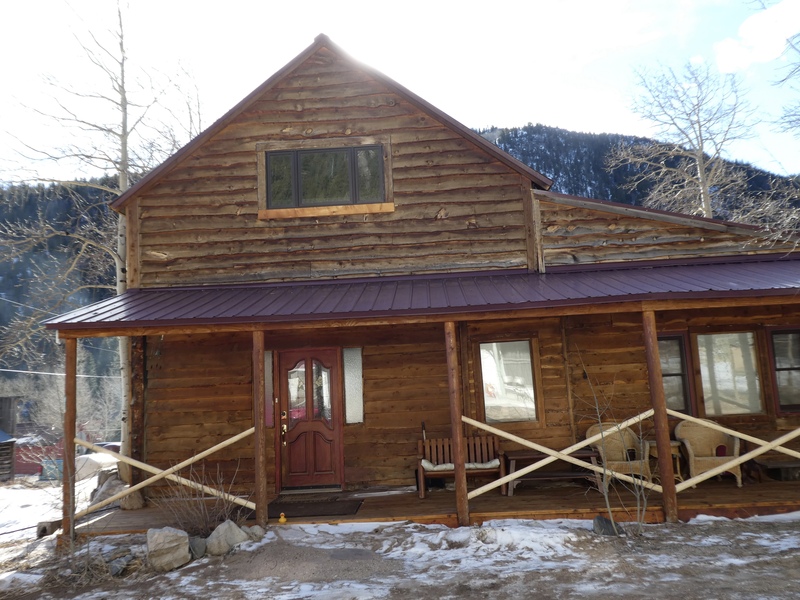 Scott choose the mountains near Nederland, Colorado as his home and also the home for his Carousel of Happiness. Scott learned to carve, purchased the necessary parts, and what you see here today, is the result. Scott had carved all the animals here. Now look at this one. Zeb and Chanel are riding a kangaroo. 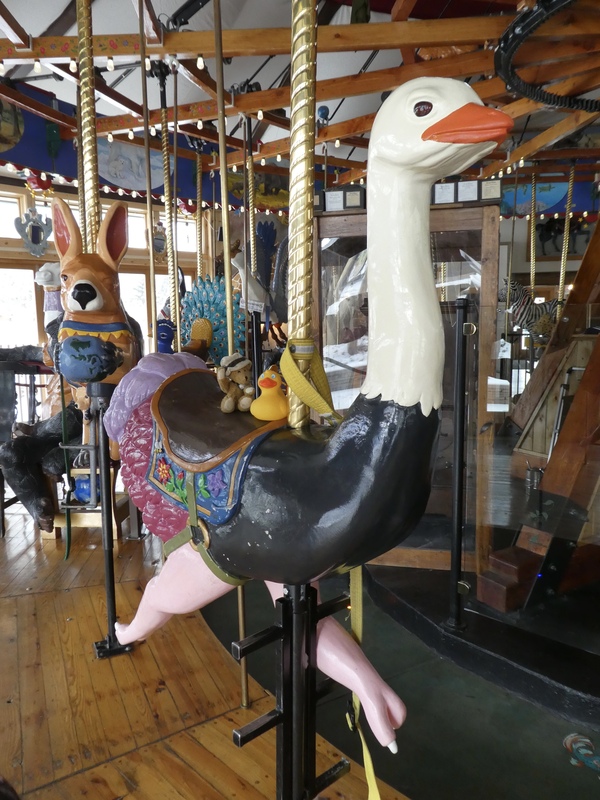 This is not a normal carousel animal. 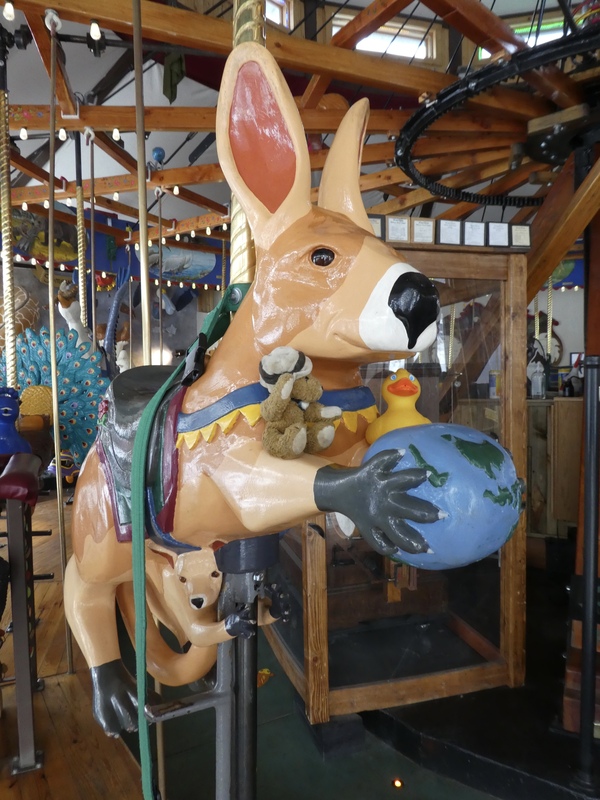 This kangaroo has her baby, her joey, and is holding a globe of our world. If you look carefully, you will see that the globe is showing Australia, the home of the kangaroo. This place is so much fun. And the Carousel of Happiness is for everyone. The price of a ride is only $1.00. Now that is a bargain. And Scott is still carving. Here we are, on a tiger. And this tiger is not even on the carousel. There are great carvings all over this building. Whenever we go to Nederland, we always stop for a ride on the Carousel of Happiness. We hope you will also. We love this place. 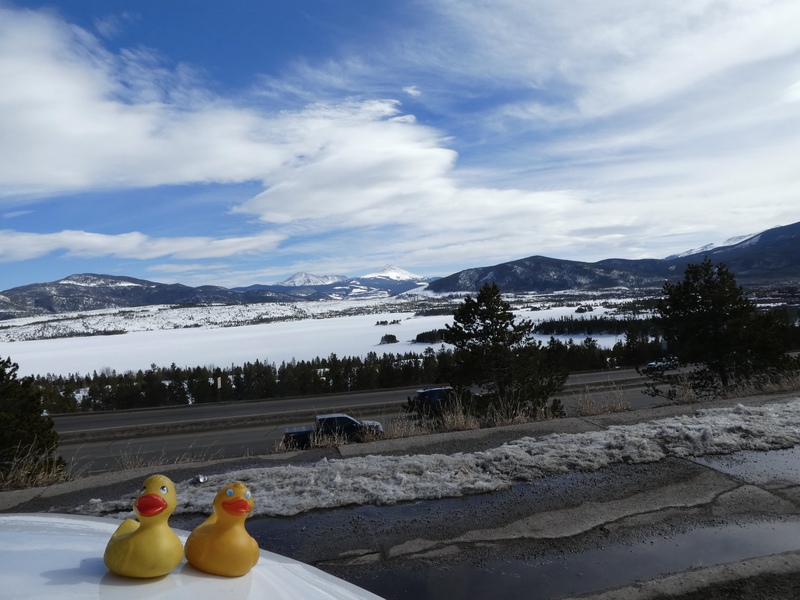 I, Zeb the Duck, wanted to show my cousin, Eider Duck, our Colorado Mountains in the winter. 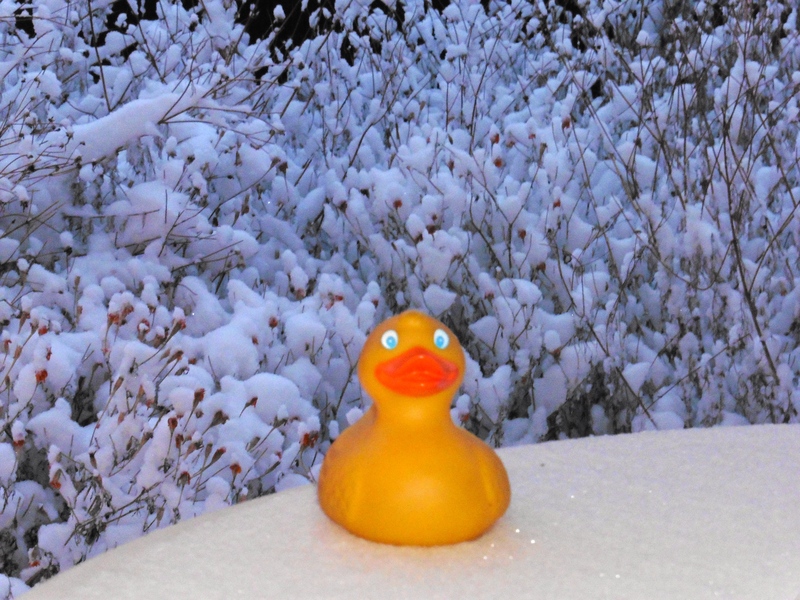 Eider lived in North Pole, Alaska, near Fairbanks, until recently, so Eider knows about winter snow. But our Colorado winters are different. We have so many days with bright sunshine, so our snow melts much faster. We drove west on I-70 from Denver. Our first stop was Dillon Reservoir. We drove through the Eisenhower Tunnel, under the Continental Divide. But, the tunnel is still more than 11,000 feet above sea level. This reservoir has many sailboats in the summer. This is also a source of water for Denver. In the winter, this frozen reservoir is beautiful and serene. 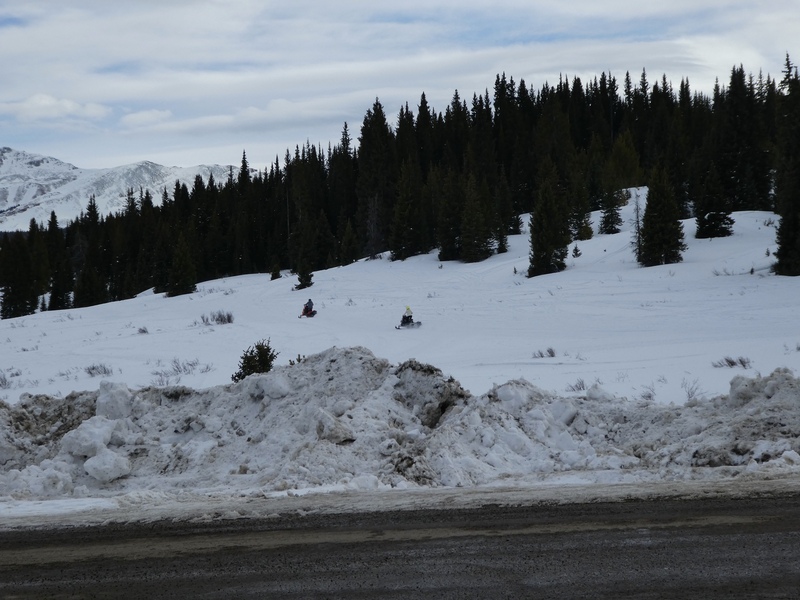 Continuing west on I-70, we stopped to watch humans skiing on the groomed snow slopes of Copper Mountain. 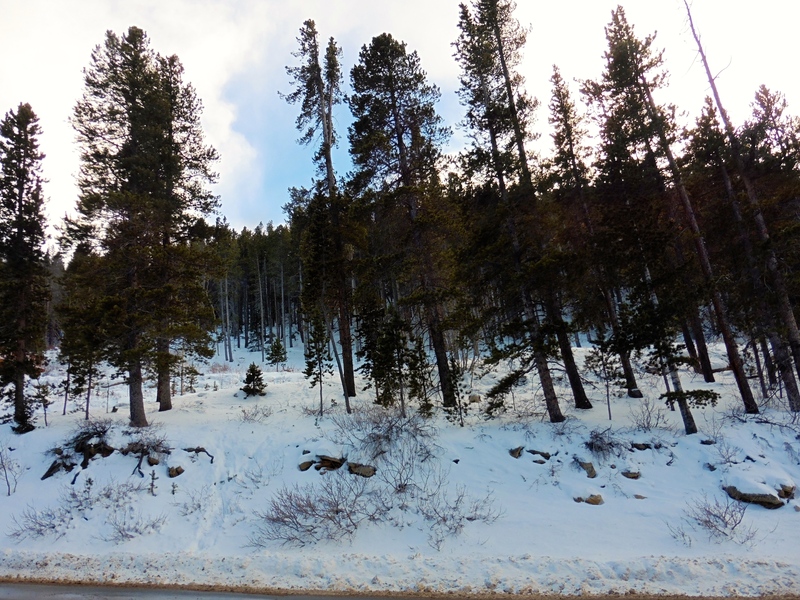 We went into Copper Mountain resort, but from I-70 you can see many trails with skiers. 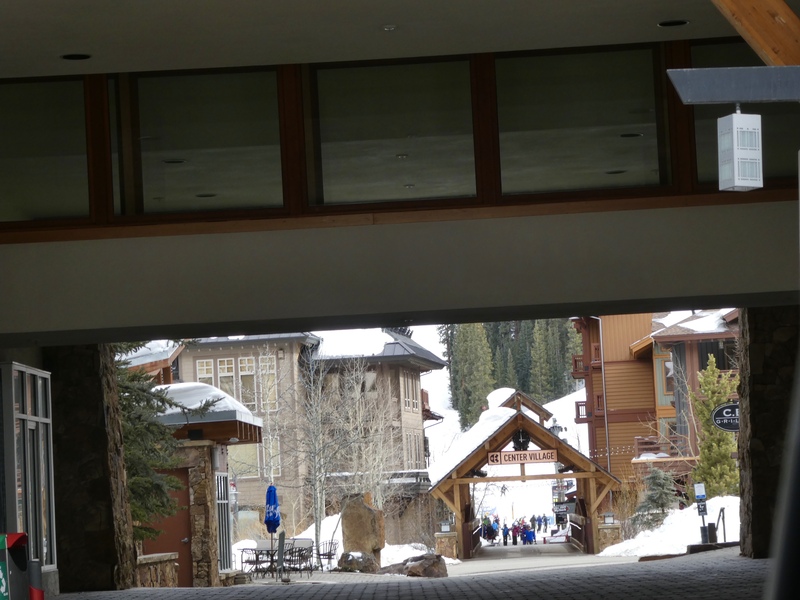 Copper Mountain resort consists of three villages, each with hotels, restaurants, ski lifts and several trails. This is looking through the entrance to Center Village. 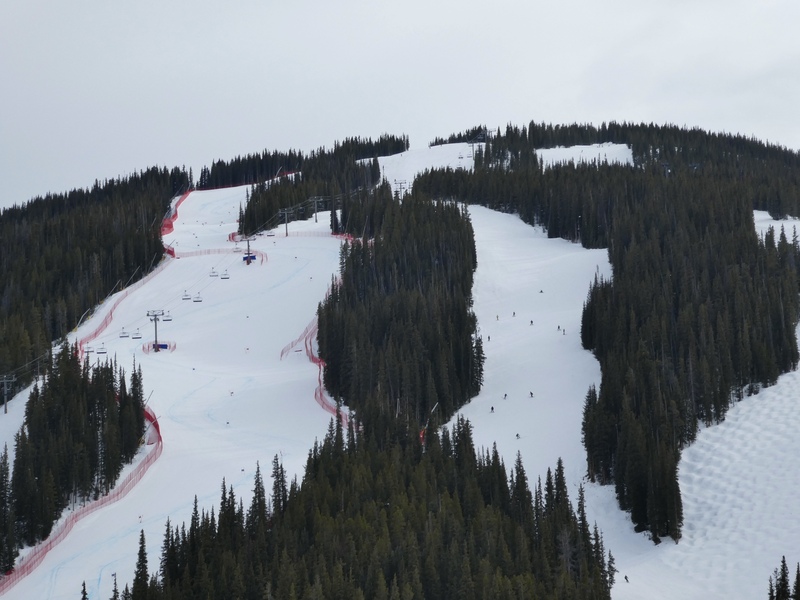 Thousands of skiers are here at any time, so many services are needed. And this is just one of several ski areas in Colorado, along I-70. 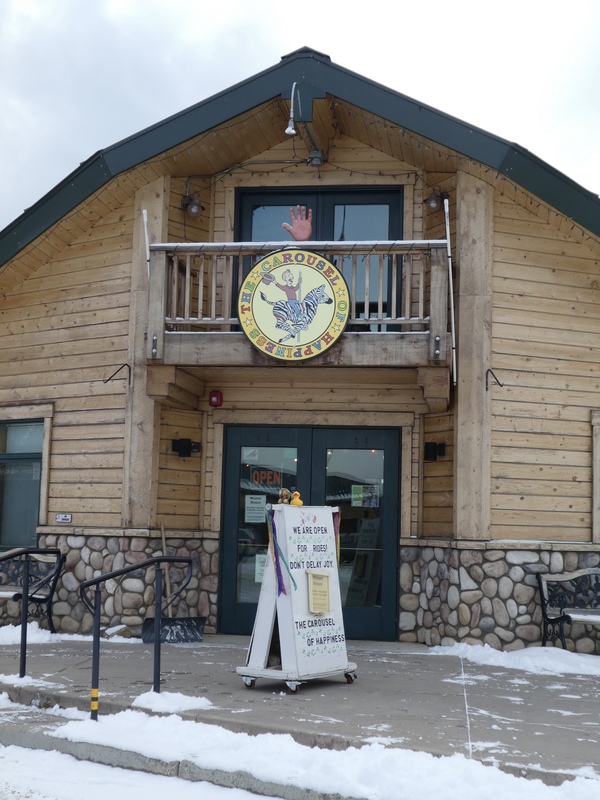 Colorado, because of the Rocky Mountains, has many more ski areas further from the interstate highway. A little further west on I-70 we stopped at this rest area on Vail Pass. 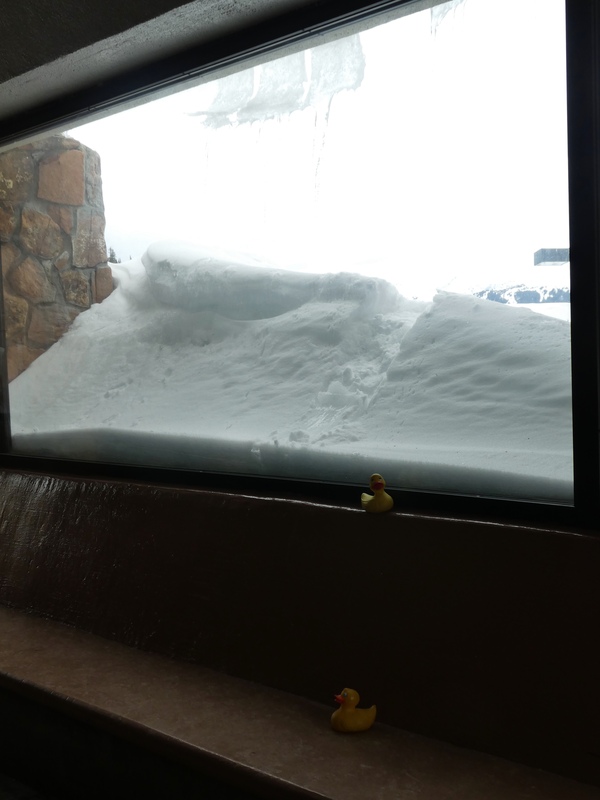 From inside a building at the rest area, the view through the window shows snow to the windows and ice on the top of the window. There is a designated recreation area here at the rest area also. Humans enjoy exploring on snow machines. 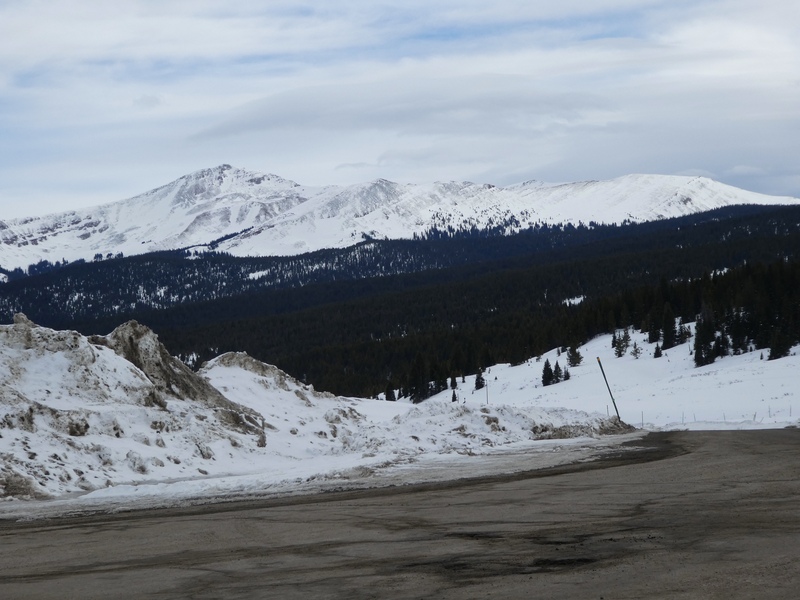 Looking back east toward the Continental Divide, from Vail Pass, we like this view. We are still less than 100 miles from our home near Denver, Colorado. But mom says we need to head back home. 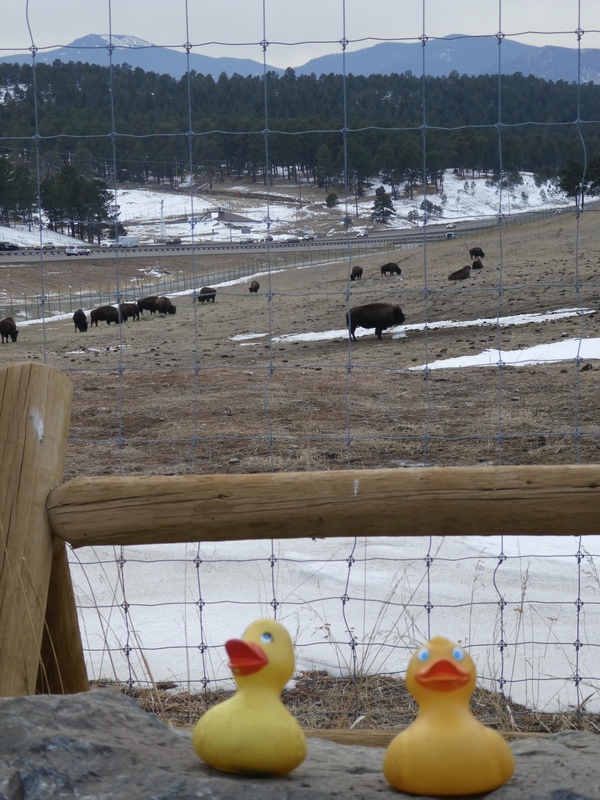 About 20 miles from Denver there is a buffalo herd that lives near I-70, at Genesee Park. A tunnel beneath the highway allows the herd to move from one side of the highway to the other. Today they were in the area best for viewing. We pulled off the highway and admired these buffalo. There is a fence since buffalo are huge and they are wild animals. We just want to admire these magnificent animals. They are fun to see, don’t you agree? Near Rocky Mountain National Park, we often visit Estes Park. 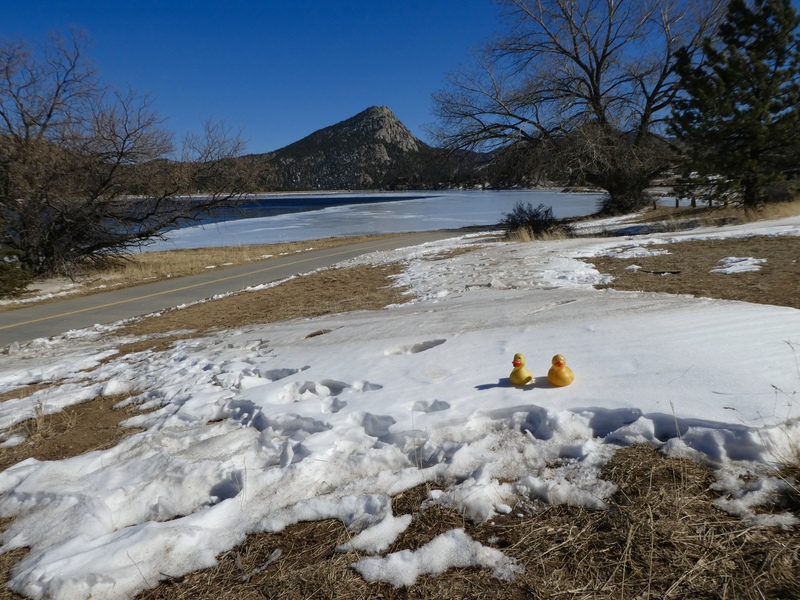 In the summer Lake Estes is a great water recreation area. In the fall, we often see elk herds in the adjoining picnic area and sometimes drinking from the lake. But this winter day the lake is partly frozen, the boaters are gone and the elk have moved to their winter areas. Today, another serene scene for us to enjoy. Today our Colorado sky is a vivid blue. Peacefulness of winter. Another favorite winter trip is 20-25 minutes from our house. 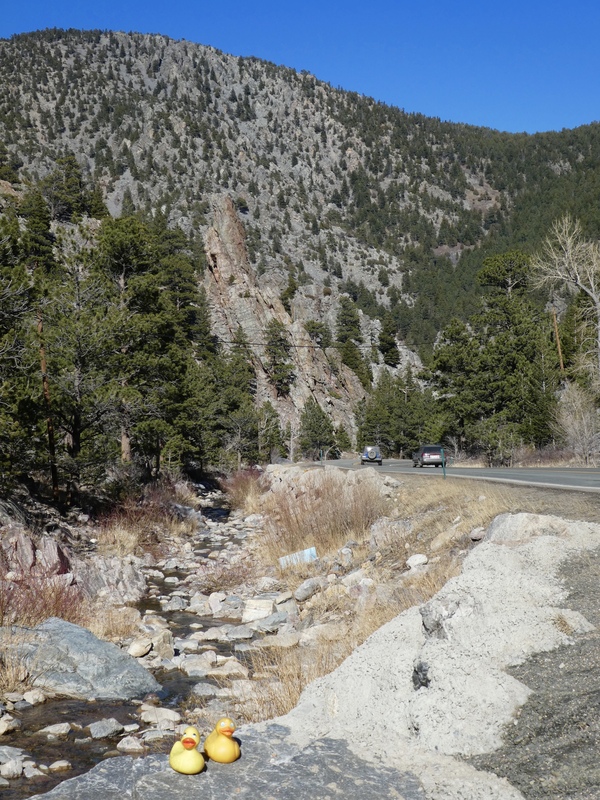 Coal Creek Canyon follows the South Boulder Creek. We often follow this creek and road to the town of Pinecliffe. Let’s travel into this canyon today. Close to Denver there is not much snow today. 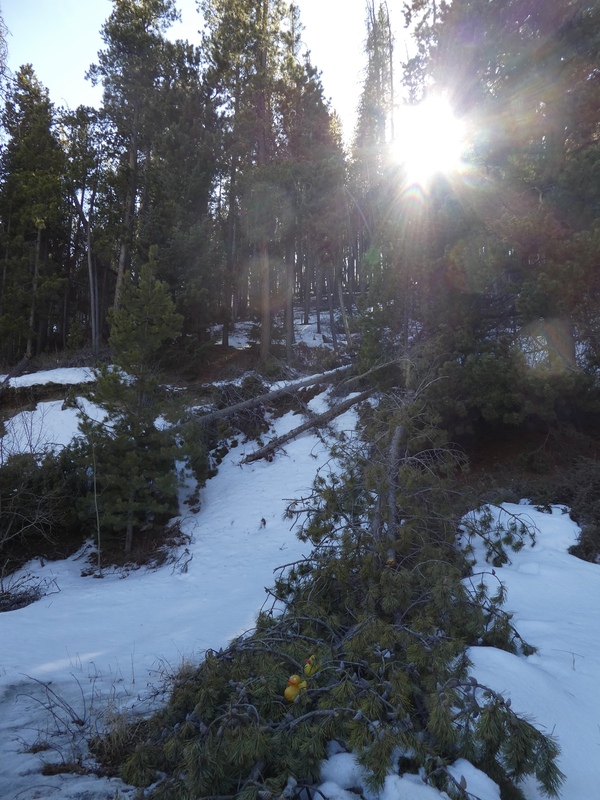 The intense Colorado sun has melted most of last week’s snow fall. We ducks love sitting by the creek, listening to the water. Further into the canyon, another stop is appreciated as we admire the snow capped mountains. Our blue skies are beautiful and we like watching the white clouds moving in. 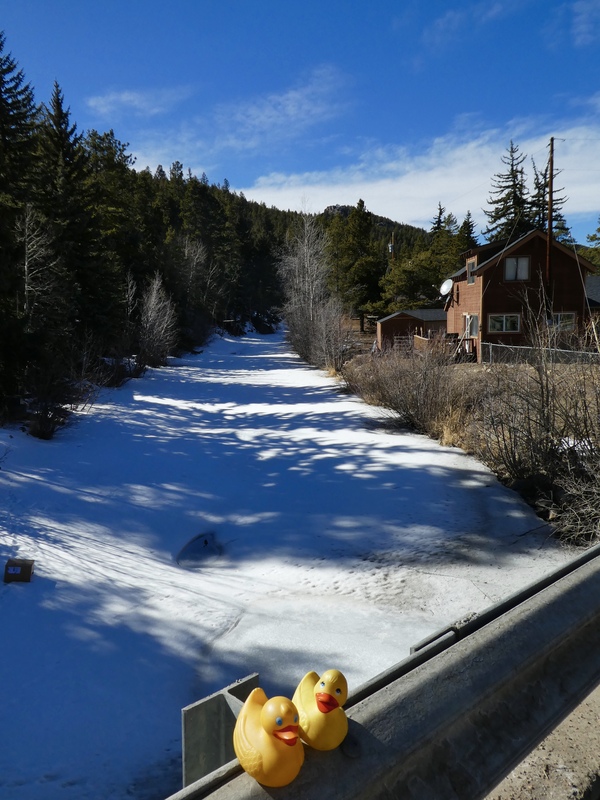 In Pinecliffe, Colorado, we view the frozen South Boulder Creek. Again, we must head home. One last view of the sun streaming through the trees as Zeb and Eider relax on a fallen pine tree. Hard to see in this photo, but our pine tree perch had many tiny pine cones. We love pine trees, pine cones and the fresh smell of pine. Winter in the mountains is beautiful and peaceful. But at times falling snow, wind and avalanches are treacherous. 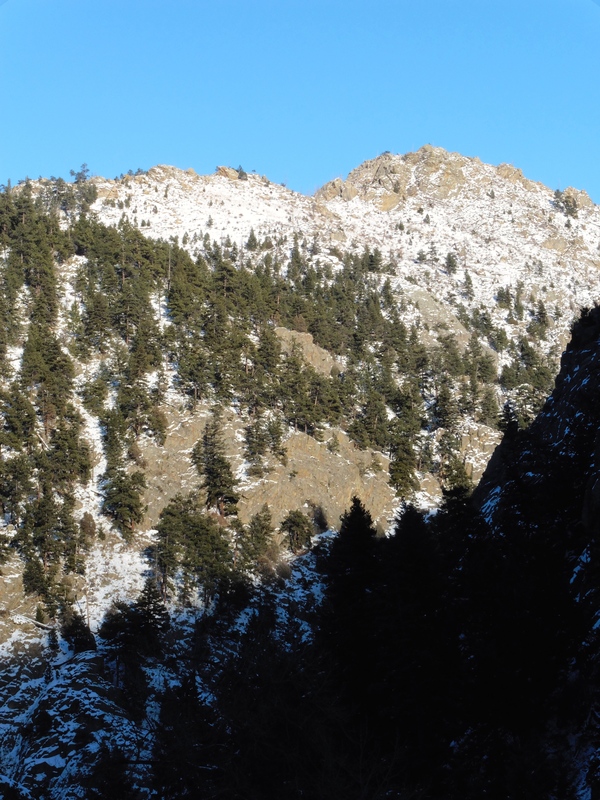 Please, when visiting mountains in the winter, be prepared (carry water and warm clothing) and be careful. Check weather conditions before you go and tell someone where you are going and when you expect to return. Precautions can keep you safe and let you enjoy the beauty, serenity and enjoyment of winter in the mountains. Have fun! Usually Denver does not have snow on Christmas day. This year, 2014, Christmas day started with temperatures in the upper 40 degrees. By mid afternoon, snow flurries arrived. This is what we saw the next morning. Even plants were covered with fluffy snow. There was more than 6 inches in our yard. So pretty. 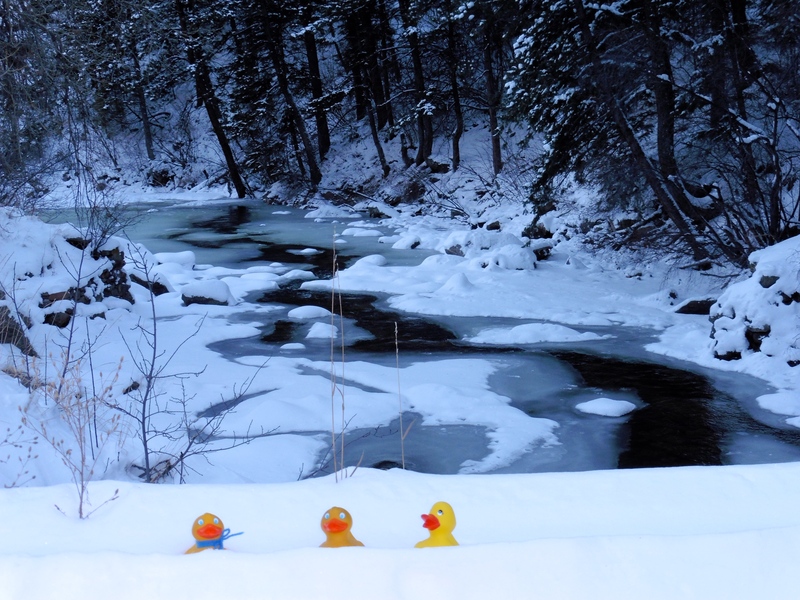 Yesterday, I, Zeb the Duck, Soapy Smith Duck, and our Alaska cousin, Eider Duck, went through a couple of canyons. 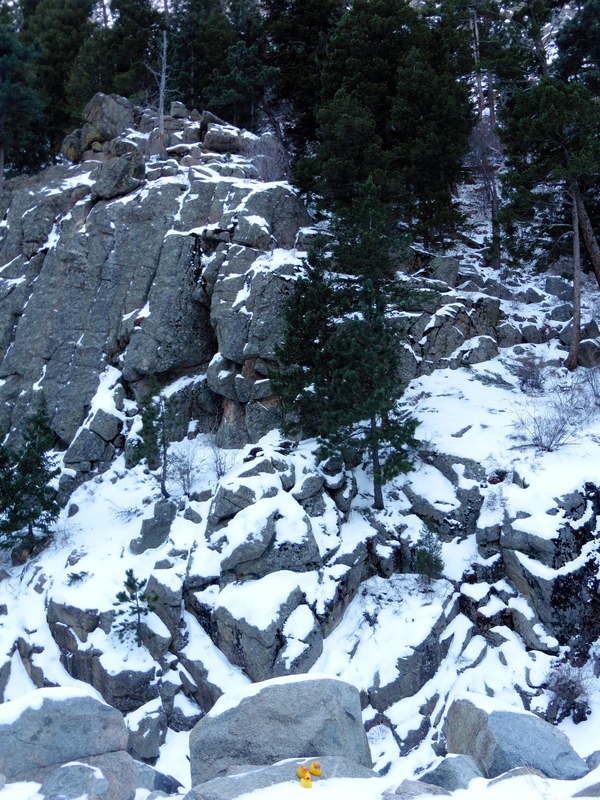 We went through Coal Creek Canyon and also Boulder Canyon. We just wanted to see some snow in the mountains and a sign that winter was on the way. Maybe a different day we will go to the ski slopes, but this was just a peaceful drive. These snowy trees welcomed the blue sky peeking through the clouds. A little precipitation is starting now. 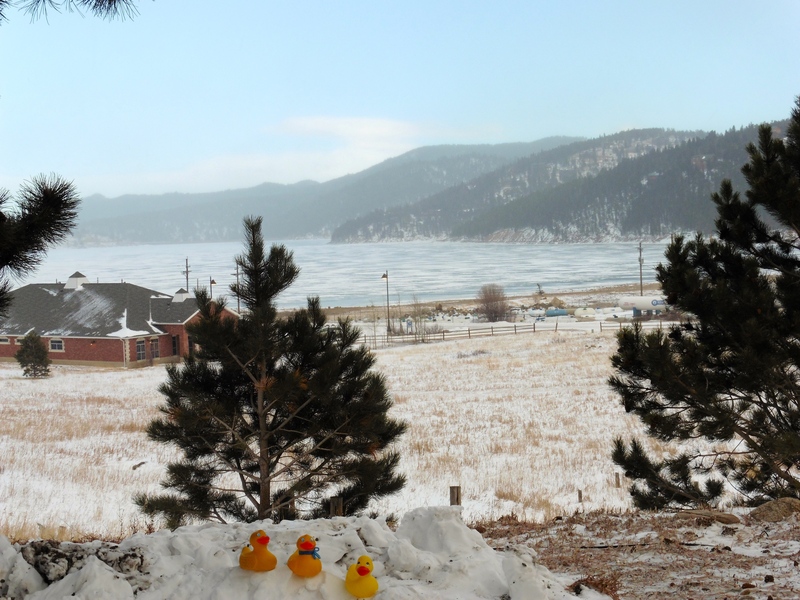 We ducks all sat in the snow to admire this lake. The lake is beginning to freeze, the temperature was 17 degrees, but the wind was cold. Snowy mountains form the walls of the canyon. 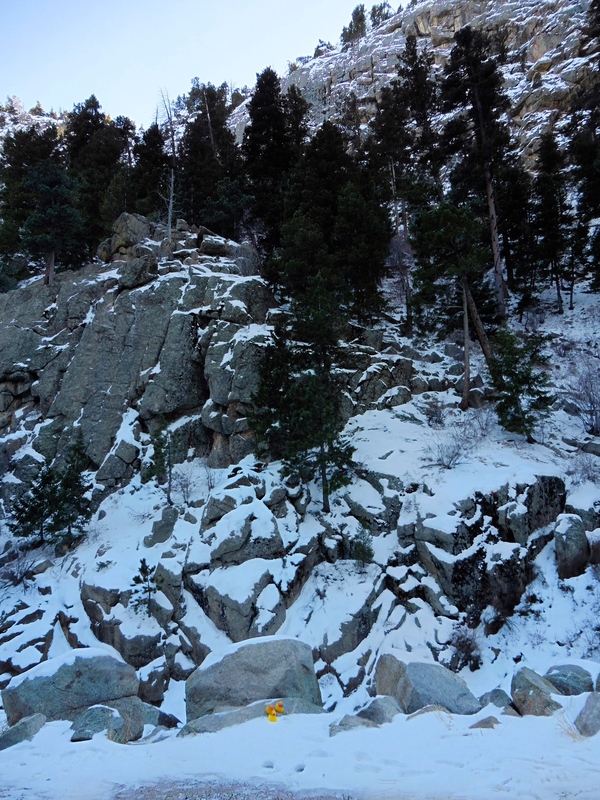 We liked the snow partially covering these rocks. Here, the beautiful blue Colorado sky provides a perfect backdrop for these mountains. Isn’t the blue sky beautiful? The rivers and creeks, with patches of snow, are beginning to freeze. Winter has arrived in the Colorado mountains. We hope you will enjoy this season.